Mr Bone (know as Ozor Emmanuel Ikechukwu) is a talented Nigerian singer, songwriter, performer and record producer. He is very fluent in singing highlife music with a blend of hip hop and makossa in English, Igbo and Yoruba languages. He hails from Umuoka, UDI LGA, Enugu State; started his music career in the year 2000; is the award winner of Ebony Herald Int’l Rising Star Artist of the Year 2017 and signed to AS Muzic. 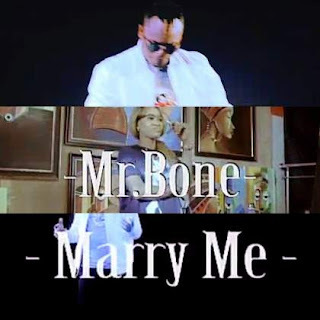 His song ‘Marry Me’ is produced by Silva One Love and video directed by Rozay.